Fr. Stephen Imbarrato just launched Life Ministries U.S. an umbrella non-profit organization that includes our ministries in New Mexico: Pro-Life Witness & Protest ABQ and also his national movement Protest Child Killing. As a missionary family, we are very blessed and humbled to have been invited by Fr. 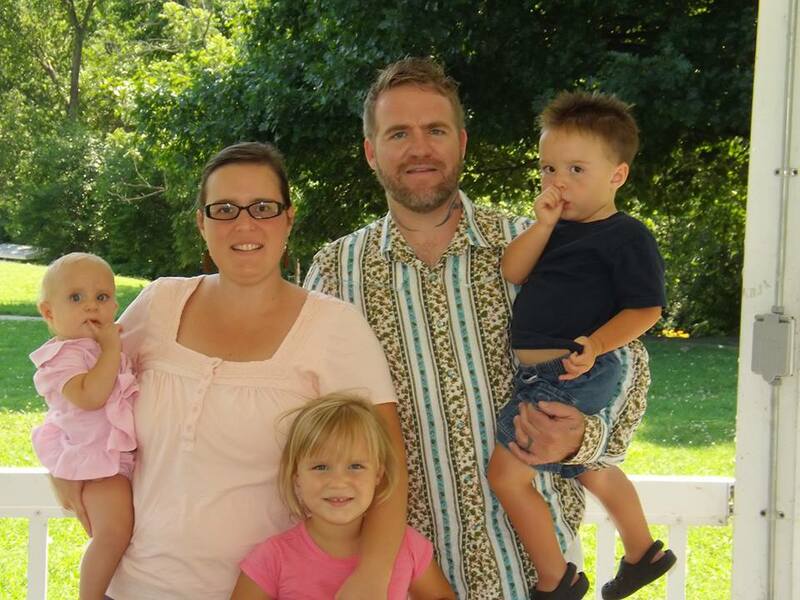 Stephen Imbarrato to New Mexico to serve our Lord in Full-Time Pro-Life Ministry. This calling is nothing short of God’s providence in our lives since neither Bud nor myself ever anticipated being on the front lines fighting our nations most devastating injustice. Or you can mail a tax deductible donation to our Ministry, simply by making your check out to Life Ministries U.S. (Earmarked for Pro-Life Witness or Bud and Tara Shaver). The truth is, that without faithful financial support each month, we never would have been able expose New Mexico as the Late-Term Abortion Capital of the Country, nor continue to hold New Mexico leaders and elected officials accountable or work Full-Time on many other projects day in and day out to bring the abortion cartel to it’s knees. -Please Prayerfully consider scheduling a one time or monthly tax deductible donation online HERE to Pro-Life Witness [In the dropdown window]. -With tax time underway, would you also consider tithing a portion of your tax return to our ministry? As a result of five years of fruitful ministry in New Mexico the ABQ Journal (the largest newspaper distributed throughout NM) recently published an article on the front page of the Sunday edition that captures the heart of who we are. Our efforts have created undeniable ripples in this community that only God can measure. In many ways, however, there is so much more to be done. 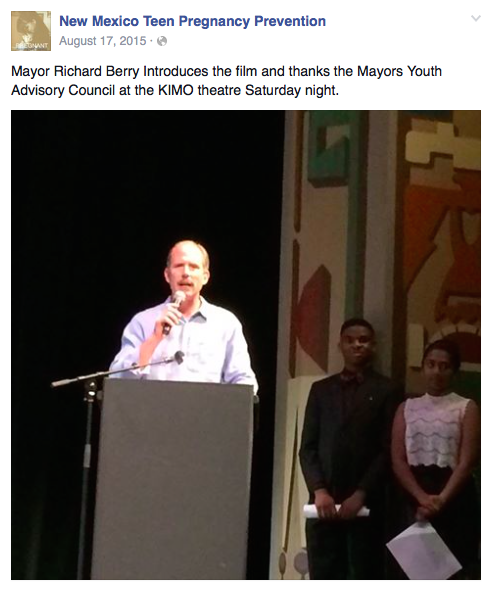 Please send your best tax deductible gift today to keep us moving forward. 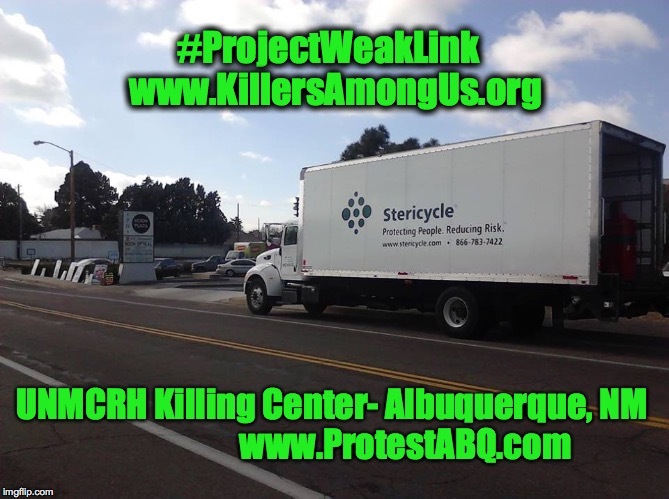 You can also support the other great Ministry efforts of Life Ministries U.S. with a tax deductible donation securely online by selecting Protest ABQ and Protest Child Killing from the dropdown Ministry window. Visit ProtestABQ.com and ProtestChildKilling.com for more information about these premier Pro-Life Ministry efforts. Albuquerque, NM- On the verge of subpoena’s for records related to fetal tissue research, Southwestern Women’s Options and UNM scramble to comply with U.S. Panel inquiry. The University of New Mexico, however, has not issued a public statement but behind the scenes emailed it’s employees today. This email was leaked by an internal source to Fr. Stephen Imbarrato of Priests for Life and Director of Life Ministries US this evening. In the email it is clear that the UNM Health Sciences Center is doing damage control in light of the ABQ Journal article released yesterday. The email reads, “This is the Health Sciences Center’s Response: The University of New Mexico Health Sciences Center is, has been and will continue to cooperate voluntarily with the United States House Select Investigative Panel on Infant Lives. We received a letter signed by Committee Chairwoman Representative Marsha Blackburn on January 6, 2016. Today we will be releasing our correspondence with the Panel staff to set the record straight, verifying our cooperation. This initial letter included 19 individual areas, each encompassing a wide range of issues and documents related to our life-saving research. This critical research has already resulted in dramatic improvements in the health of extremely premature babies, including reducing brain damage and blindness. Research using fetal tissue has allowed for discoveries that have led to extremely premature babies now having a greater chance of survival and an improved quality of life at younger and younger ages. This is an historic accomplishment. We submitted an initial response on January 29, 2016, as per our agreement with Panel staff. We were granted an extension to respond with further documents by February 15, 2016 by Special Counsel to the Committee, Frank Scaturro. Our staff has been diligently working to gather responsive documents and we intend to honor our agreement. We are disappointed that the majority would issue a precipitous press release prior to the February 15 deadline stating that we are not cooperating and are unwilling to submit the documents requested. In light of the documents we are releasing today, this statement is not supported by the actual interactions and agreements with the Panel staff. It seems strange though that if UNM has indeed been voluntarily cooperating that Rep. Blackburn would feel the need to issue a subpoena next week. For a little background to who is calling the shots at UNM Health Sciences Center, for years Protest ABQ has been bringing awareness to the fact that UNM is the heart of the abortion industry in New Mexico and Dr. Paul Roth, Chancellor for Health Sciences, CEO UNM Health System and Dean of UNM School of Medicine is the driving force behind the scenes. Protest ABQ has been so vocal about this reality that Dr. Roth wrote a letter almost 18 months ago to Archbishop Michael Sheehan complaining about Fr Stephen Imbarrato. The letter was full of false accusations and untruths. The fact that Dr. Roth wrote the letter validates UNM’s concerns about the exposure that Protest ABQ has exposed about UNM’s radical abortion agenda. -UNM Hospital- Performs late term abortions. -School Based Health Centers- In Albuquerque High Schools and Middle Schools as a means of promoting abortion to NM youth. -UNM Center for Reproductive Health- Performing abortions up to 22wks. Managed by abortionist Eve Espey, 2014 Margaret Sanger award recipient and mentioned in recent CMP videos as UNM’s abortion asset. 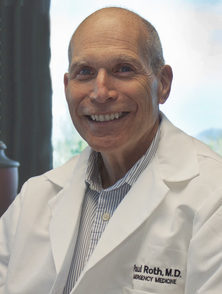 Dr. Roth, in the past over a 2-3 year period, worked with the New Mexico Chamber of Commerce and State Legislators including Republican Senators John Ryan and Rod Adair to try and legalize embryonic stem cell tissue research in New Mexico. Dr. Roth recently donated $500 to New Mexico Speaker of the House, Republican Donald Tripp. The Republicans recently hosted Dr. Roth at the opening of the 2016 Legislative Session. 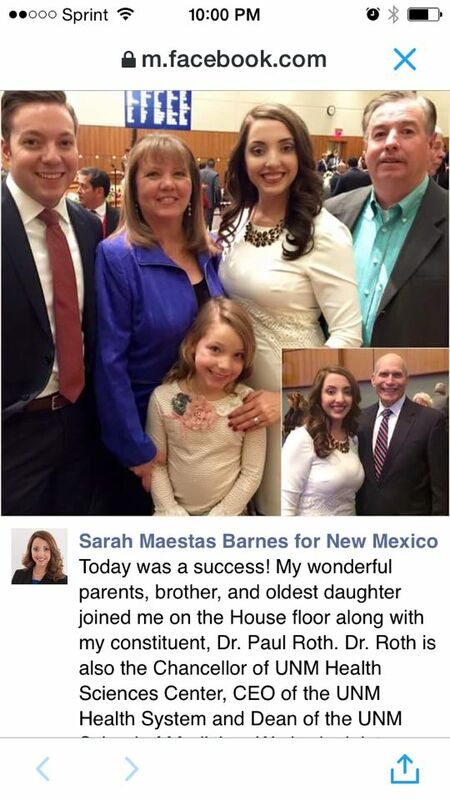 Dr. Roth has been a consistent donor to State Democrats who have squashed every pro-life legislation put forth in New Mexico in the last 2 years. Dr. Roth’s long term relationship with notorious late term abortionist Dr Curtis Boyd is well known. Is Dr. Roth the one who is behind the initial failure to comply with IPRA’s by NMAFL, Protest ABQ and now the failure to comply with the Select Investigative Panel on Infant Lives document requests? Dr Roth, what about the unborn babies, some viable, that die each and every day under your supervision? How about the mothers who have been documented as wounded in your clinics including the poor mother who is believed to have died in your UNMCRH abortion clinic in July 2011 which I am still investigating? 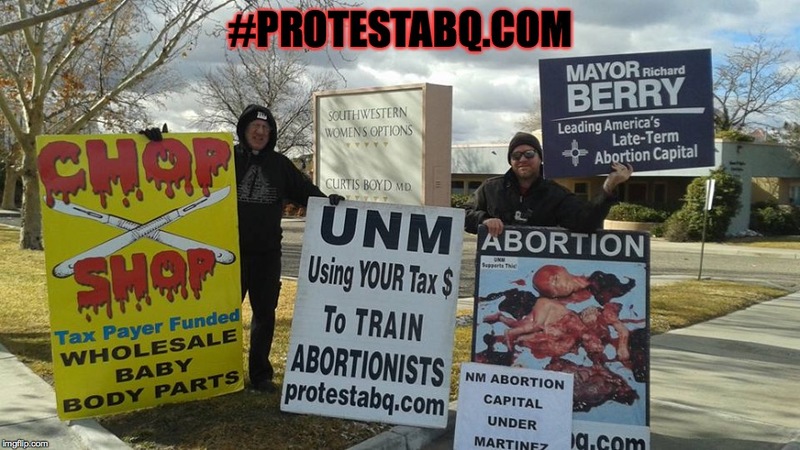 The UNM Board of Regents, Governor Martinez, and AG Hector Balderas, as Protest ABQ has consistently demanded, should begin conducting their own investigation of Dr. Paul Roth’s Health and Sciences Center and his control over the New Mexico abortion industry.